Compliance Declaration / Code of Conduct | Development, Production and Sales of touch panels | SHOEI CO., LTD.
To respect human rights and work to create a safer, more comfortable working environment for all of our employees. We will work continuously to improve our compliance system in order to secure even greater trust and confidence from all our stakeholders, including our customers, suppliers, employees, shareholders, and members of the local community. 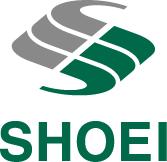 To achieve the SHOEI Group Charter of Corporate Code, SHOEI CO., LTD. (“the Company”) has established the SHOEI CO., LTD.. Code of Conduct to serve as the standard governing the conduct of all Company officers and employees. We will comply with this Code of Conduct and act on a voluntary basis to ensure that the Company continues to be trusted by society. By practicing a customer-first approach, we deliver high-quality, safety-minded products and services that are useful to society as a whole and earn the satisfaction and trust of our customers. We will respect the contracts we enter into with customers and partners, and we will endeavor to build and maintain relationships of mutual trust by engaging in smooth communication. We will place top priority on ensuring the safety and quality of the products and services we provide. In addition, we will strive to enhance the skills and awareness of all employees and continually improve our quality management systems. In the event of a product-related incident, trouble, or complaint, we will respond in a swift, precise, sincere, and responsible manner. Over the course of our business activities, we will comply with the laws and regulations of each country and region as well as our own internal regulations, and we will act based on a strong sense of ethics and morality. We will comply with Japan’s Antimonopoly Act and the competition laws of each country and region, embrace fair, transparent, and free competition, and engage in legitimate trade. We will also follow the Subcontract Act and other related laws and regulations and maintain appropriate business relationships with subcontractors. We will maintain sound and proper relationships with governments and authorities, and we will not engage in illegal payoffs or bribery of civil servants or government officials. We will pursue initiatives aimed at rooting out and eliminating any corruption including bribery and extortion. Even if conduct does not violate the laws of a country or region, we will operate in accordance with social norms and common decency, even when it comes to accepting or providing gifts or business entertainment. We will not use our professional position or authority to act against the legitimate interests of the Company, or engage in acts involving conflicts of interest benefiting ourselves or third parties. We will not illegally obtain or use the corporate information of another company, or infringe upon the patent rights, copyrights, or other intellectual property rights held by a third party. We will take a resolute stance against antisocial forces and groups which threaten social order and safety and cut off all dealings with them. We will also adhere to laws that restrict money laundering in various countries and regions. We will not engage in the buying or selling of securities such as shares or bonds using non-public information learned in the course of our duties (insider trading). We will comply with international rules on trade, the laws and regulations of each country and region, and our own internal regulations, and engage in proper import and export business. We will engage in broad communication with society, and disclose information on overall company management in a timely and appropriate manner. We will thoroughly ensure efforts to protect and manage various types of information including personal information and customer information in accordance with the Act on the Protection of Personal Information, related laws and regulations, internal regulations, and other requirements. We will use Company computer systems, information systems, and network systems appropriately in accordance with internal regulations and other requirements. We will also take safety management measures to prevent incidents such as unauthorized access related to information assets and the leaking, falsification, or theft of information. In addition to complying with environment-related laws and regulations, we will act considerately in order to preserve a healthy environment in every facet of our business activities in line with our Basic Philosophy on the Environment and Environmental Policy. We will make continuous improvements to our environmental management systems to reduce and mitigate the impact we have on the environment. Over the course of our regular operations, each employee will make an effort to eliminate the three Japanese M’s (overburden, waste, and unevenness), thoroughly enforce resource and energy conservation efforts, and strive to achieve an environmentally-friendly workplace. Through our business activities, we will endeavor to develop and manufacture excellent products that are friendly to the environment to help balance the ideas of a prosperous society and environmental conservation. Over the course of our overseas business activities, we will comply with international rules and the laws and regulations of all related countries and regions, while also respecting their cultures and customs and contributing to the development of communities in the countries and regions in which we operate. We will not provide illegal pay-offs to the public servants of other countries in order to unjustly gain or maintain profits. We will seek to communicate and coordinate with society and actively engage in social contribution activities as a good corporate citizen. We will proactively take part in regional activities and contribute to the development of comfortable and prosperous regional communities. Through our business activities, we will actively support volunteer activities and social welfare activities. We will adhere to basic rules on human rights, including the Universal Declaration on Human Rights, and demonstrate respect for human rights at all times. We will not engage in unfair discrimination on the basis of race, nationality, creed, religion, gender, age, or social status, nor will we infringe upon privacy. We will respect and defend basic labor rights including the right to work and the freedom of association. We will not allow child labor or forced labor. We will ensure equal opportunity and fair treatment　in employment and occupation, and we will not treat people in a discriminatory fashion. We will respect the diversity, personality, and individuality of each employee. We will comply with labor-related laws and regulations, laws and regulations related to occupational health and safety as well as our own internal regulations, ensure a safe, clean and comfortable working environment, and promote the development of a bright workplace with a positive atmosphere. To achieve comfort and prosperity for our employees, we will promote a healthy work-life balance (harmony between work and private life). To ensure a healthy workplace environment, we will not engage in any activity that constitutes sexual harassment, power harassment and so forth. We will endeavor to make the workplace one of self-fulfillment through which employees can engage in self-improvement and demonstrate their abilities. We will take strict action when officers or employees violate laws, regulations, or internal regulations, or commit acts which are contrary to public order and morality.